March 4, 2019 Priority Update: There’s ongoing confusion as to whether or not this has any kind of card slot at all. I’ll post an update here at the top once this issue has been resolved. As it stands, this will not ship until April 2019. March 5, 2019 Update: There is no card slot. Which is very odd, given that all other hardware specs — aside from touchsceen layer — match the Mars. March 6, 2019 Update: See this post that contains a video, confirming there is no card slot in the Muses. Boyue doesn’t sleep! After the Likebook Mars, rapidly followed by the larger Likebook Mimas, today they’ve announced the Likebook Muses. This overcomes objections stated by potential purchasers of the Likebook Mars. 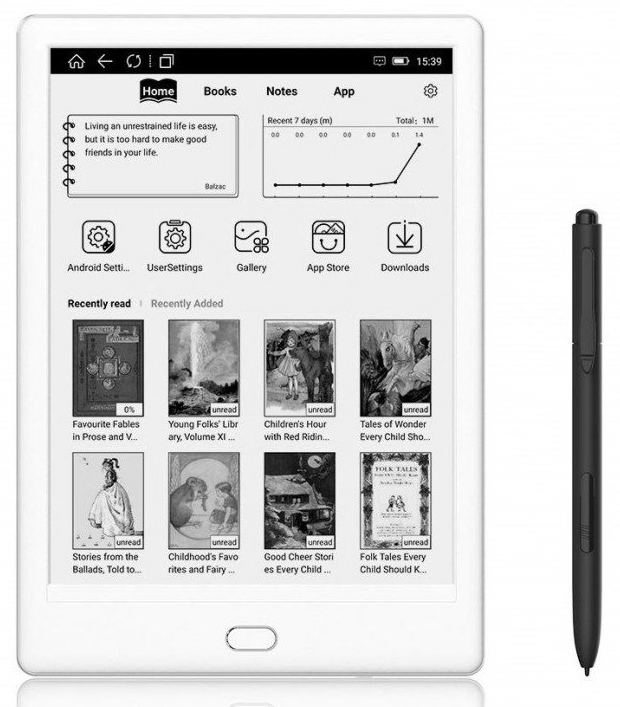 The Likebook Muses is US$329 at Amazon. That’s nearly a US$100 premium for notetaking over the Likebook Mars, priced at US$239. On the other hand, that’s about US$120 less than the larger Likebook Mimas. I intend to monitor YouTube for review videos and will post any that are worth viewing. March 1, 2019 update: According to Boyue, pointing me to this product listing, the Muses does not have a microSD card slot.